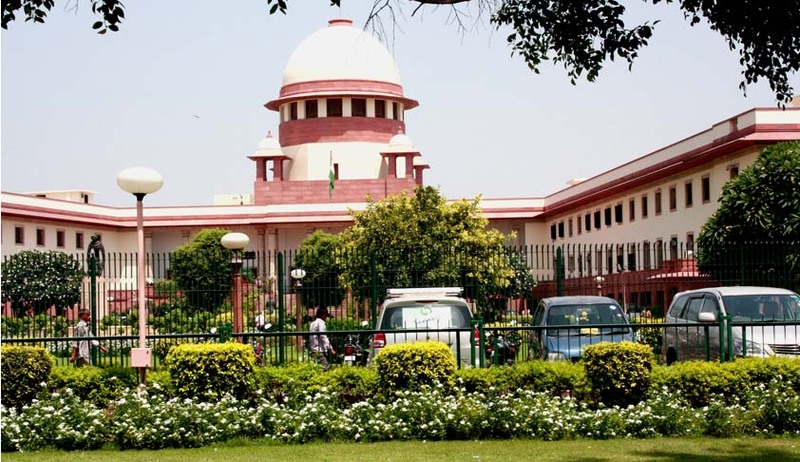 Constitution Bench Matters to be listed before CJI from 8th July; Court to decide upon power of Remission of sentence related to Rajiv Gandhi Assassination case, Validity of extended term of reservations, etc. According to a recent Supreme Court notice, matters to be heard by a Constitutional Bench comprising of five judges will be listed before the Chief Justice from 8th of July. The matters, listed before the Constitutional Bench, are of utmost importance. The Bench will decide the case of Union Of India Vs V. Srlharan @ Murugan & Ors., regarding the remittance of the sentence of life imprisonment of the convicts in the Rajiv Gandhi Assassination Case. Pursuant to the judgment of the Apex Court dated 18.02.2014 in V. Sriharan @ Murugan (supra), the Government of Tamil Nadu took a decision to grant remission to the convicts and release them. The question to be considered by the Constitutional Bench here is whether once power of remission under Article 72 or 161 or by this Court exercising Constitutional power under Article 32 is exercised, is there any scope for further consideration for remission by the executive. The issue determining the scope of application of power of remission by the Centre and the State executive has wide ramifications. The ancillary questions raised in the matter, akin to who is the ‘appropriate government’ under Section 432(7) of the Code to exercise the power of remission is concerned; as also which Government - the State or the Centre will have primacy over the subject matter enlisted in List III of the Seventh Schedule of the Constitution of India for exercise of power of remission. In all, seven questions have been framed for the Constitutional bench. These issues will determine the procedure for awarding sentences in the criminal justice system. Read more news about the case here. In the case of Mirza Rafiullah Baig & Ors Vs U.O.I. & Anr., the petitioners challenge the validity of the Constitution (79th Amendment) Act, 1999 whereby the words `sixty years' have been substituted in place of `fifty years' in Article 334 of the Constitution. Their counsel argued that this amendment is against the basic feature of the Constitution. According to them, democracy has been recognized as one of the essential features of the Constitution by this Court and since the Amendment Act deprives the democratic rights of the petitioners, inasmuch as it is violative of Article 14 of the Constitution, it deserves to be struck down. This amendment increases the period of reservation of seats for the Scheduled Castes and Scheduled Tribes and the representation of Anglo-Indian community by nomination in the Lok Sabha and in the Legislative Assemblies of the States. Article 334 provided for a period of 50 years. However, the objective of the amendment states that although the Scheduled Castes and the Scheduled Tribes have made considerable progress in the last fifty years, the reasons which weighed with the Constituent Assembly in making provisions with regard to the aforesaid reservation of seats and nomination of members, have not ceased to exist. Hence, the period was increased to sixty years. Another matter listed is Manohar Parrikar V State of Goa And Anr. along with Shri Sadanand Mhalu Shet v Shri Filipe Nery Rodrigues. These cases raise questions about disqualification of MPs and MLAs. A writ petition had been filed by Shri Filipe Nery Rodrigues in the Bombay High Court, challenging the validity of his disqualification under Anti-Defection laws, by the Speaker. The High Court had set aside the Speaker’s order, as it did not show that the Speaker has acted judiciously by excluding the extraneous material from his consideration and failed to adhere to the established principles of appreciation of evidence and fair play. Therefore, the impugned order is wholly irrational and completely unreasonable and is passed in bad faith. This decision will determine to a large extent, the disqualification rules in the country, dealt under Article X of the Indian Constitution. The case of State of U.P. & Ors.Vs Pawan Kumar Dlvedi Ors will reconsider the decision of a three Judges Bench in Vinod Sharma & Ors. Vs. Director of Education(Basic) U.P. & Ors. (1998) 3 SCC 404. M/S. Deccan Cements Ltd. Vs Asst. Director Of Mines & Geology & Anr and the connected matters are placed before the Constitutional bench to test the correctness of the conclusions that the levy was permissible by the Validation Act, but amounts which have not already been collected, cannot be collected. In one of the matters, the Court agreed that though levy of cess was permissible by the Cess and Other Taxes on Minerals (Validation) Act, 1992. However, the issue of the amount which had not been recovered, could be collected after 4th April, 1991, needs a fresh look by a larger bench. Since the issue raised in these cases is of seminal importance, involving heavy amount of revenue, the Bench was of the view that the matter deserves to be heard by a larger Bench of five Judges. All these matters will hence have a profound impact over the future course of action which will be adopted in the issues raised in the instant cases. The court’s observations are awaited eagerly.